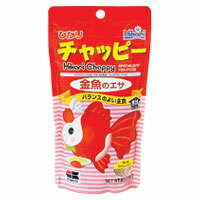 A daily diet for goldfish & koi fry offering basic nutrition & excellent value. Provides a well balanced nutritional package providing basic nutrition without offering color enhancement or superior growth characteristics. A complete daily diet eliminating the need for supplemental foods. Will not dissolve and helps promote good water quality. A floating pellet which allows you to easily monitor and adjust the amount of food fed to avoid over-feeding.